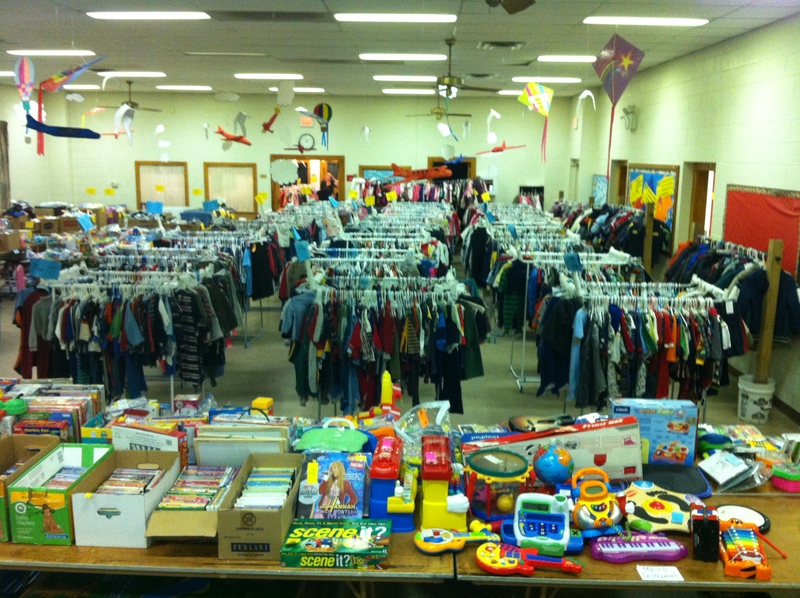 Get ready to shop til you drop at the Spring Chicken Kids Consignment Sale Friday, August 15th Noon – 8pm and Saturday, August 16th from 8am – 2pm With 1/2 price sale on many items Noon – 2:00 PM Saturday at the Armenian Martyrs Congregational Church, 100 N. Edmonds Ave, Havertown (1 block off of Township Line, Route 1) This sale accepts both cash and credit cards. I am super excited for this weekend’s sale! This is one of my favorite kid consignments in our area. It’s well organized and packed with clothes, coats, toys, baby gear, Halloween costumes and just about anything you can think of that is kid related! All of the clothes are hanging on racks and seperated by size and gender which is nice for quickly looking through the items. And this sale is BIG!! There is so much to choose from. They even restock the sale on Friday night in preparation for Saturday. Typical items that you can expect to find at the fall/winter sale include: ◦Fall & Winter clothing (infant through size 16) ◦Halloween costumes (infant through size 16) ◦Winter coats ◦Snow boots ◦Special occasion wear ◦Nursery items ◦Maternity wear ◦Strollers ◦ Baby Gear and Equipment ◦Toddler Beds ◦Gliders ◦Toys ◦Books ◦DVDs ◦Videos ◦Computer games ◦Gaming supplies ◦Bikes ◦Trikes ◦Scooters ◦Play Equipment ◦Outdoor toys ◦And much, much more! Be sure to check out the Spring Chicken Kids Consignment Facebook page and website http://www.springchickensale.com to be kept up to date on current and future sales. If you do decide to attend, be sure to write back to let me know some of your favorite finds! It’s amazing what you can get for your money at these awesome consignments!